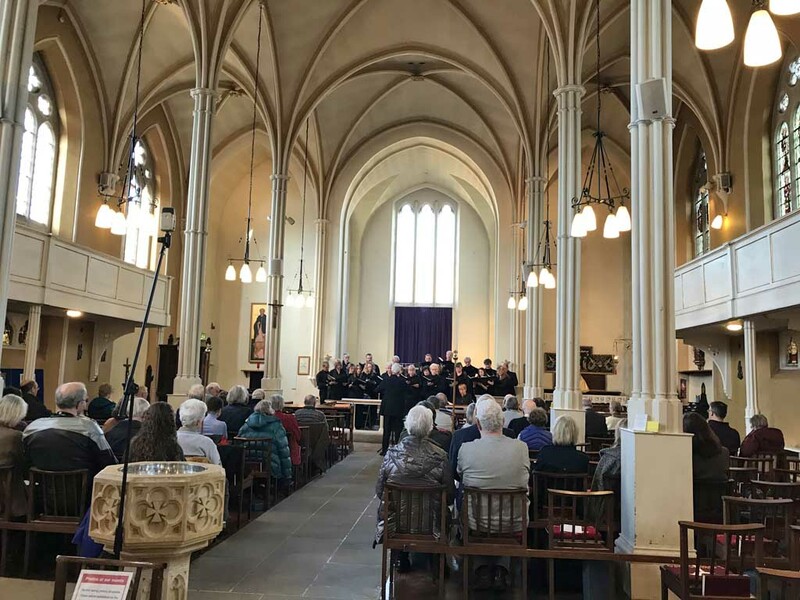 The Linsdale Singers, conducted by Dennis Pim, are a chamber choir from Leighton Buzzard and what a splendid sound they made! Starting from under the gallery, the Choir processed to the east end of the church singing a plainsong Introit for the third Sunday in Lent. 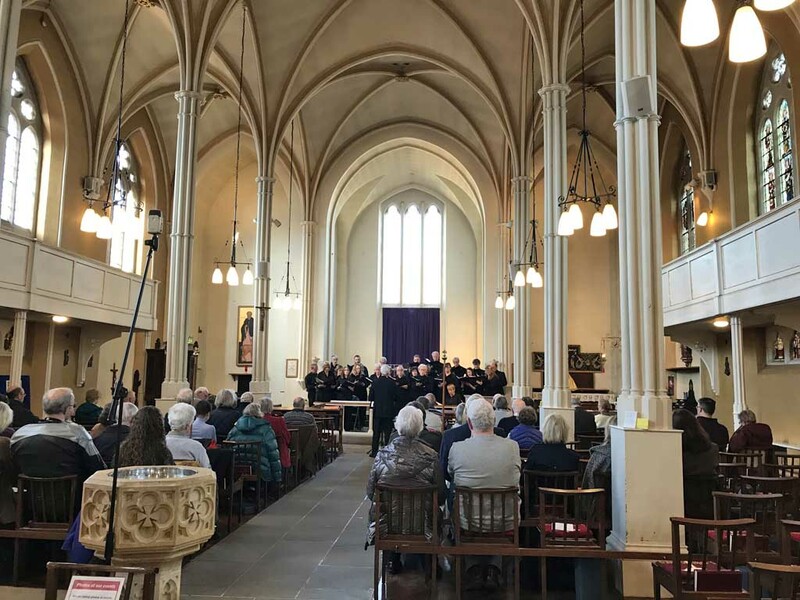 Sacred music from the 16th to 20th centuries filled the first half, all unaccompanied and beautifully sung, filling the church with a magnificent warm sound. 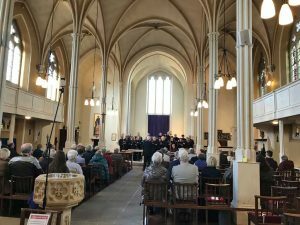 Tea, coffee and a feast of cakes were shared at the back of the church as the choir and audience mingled during the interval. The second half was a mixture of madrigals, part-songs and folksongs appropriate to the season. They showed off the choir’s versatility and the arranging skills of their conductor. It was a thoroughly enjoyable occasion and thanks to the singers for donating all the ticket money to our organ fund. Together with donations from refreshments there was a total of £248.36. We look forward to welcoming the Linsdale Singers back soon!